Back in stock. Not only are the roots of this music unique, but so are the results after incorporating outside instrumentation from modern colonial and (unavoidable) international influence. what the Burmese have done with a piano is so precise in its adaptation to existing form and melody that one would think they invented it. burmese music has a very distinct sound and whatever instrument is assimilated into its core only seems to magnify its original intent without depending upon outside ideas as they relate to each component of it. This collection will immediately bring you up to speed to what you have been missing all along. This is the first true compilation of this phenomenal scene from Yangon to Mandalay and beyond. 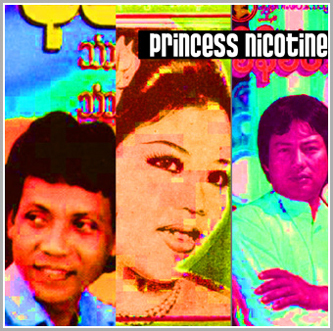 Here are some of the greatest names from the past 50 years of Burmese musical history from the original recordings featuring Mar Mar Aye, Bo Sein, and the incomparable Tonte Theintan. On the Sun City Girls' Sublime Frequencies label.